Thank you for your interest in hosting a supply drive on behalf of Free 2 Teach. By coordinating a school supply drive, you will greatly contribute to our stock and, in turn, teachers and classrooms across Madison County. In an effort to make your drive as simple and successful as possible, Free 2 Teach has put together some helpful hints to help your supply drive be a success! Determine what type of school supply drive you want to host, a full school supply drive, collecting all of the items on the Most Needed Supply List, or focusing on one specific item, like collecting just markers or facial tissue or glue sticks. Want to be creative? Organize competitions; create teams and award prizes to those who collect the most. Choose the length of time and the dates during which you will host the supply drive. You can run you campaign for a day, a week, a month, a semester, or even year-round. We usually recommend 2-4 weeks. Send out an email, Facebook post, text and/or voicemail announcing the kickoff date. Include news about the upcoming drive in your invitations, newsletters and/or meeting announcements. Let everyone know that financial gifts are welcome too! Checks can be made out to Free 2 Teach. Distribute flyers to your staff and membership. Let the community relations or public relations department know about the drive. Set up boxes in high-traffic, highly visible areas. Provide either an envelope for financial donations or designate a person to drop off donations to. Make sure everyone is aware of what is on the Most Needed Supply List. Create fun themes, such as “Casual Crayon Fridays” to encourage and reward team donations. Keep participants informed by tracking progress and celebrating successes. Announce when the drive is reaching its end (about one week prior & two days out) for an extra kick. 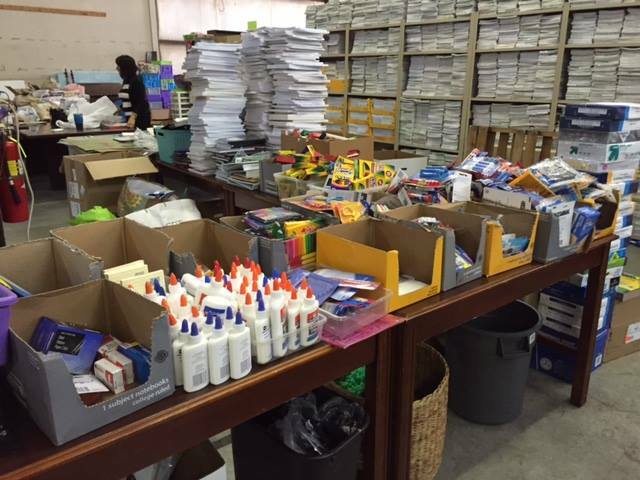 Once your school supply drive is complete, email info@free-2-teach.org to arrange a day and time to deliver the items.